Get an instant access to huge collection of posters, flyers, banners, documents, business cards and social media products, totally 74 great templates. 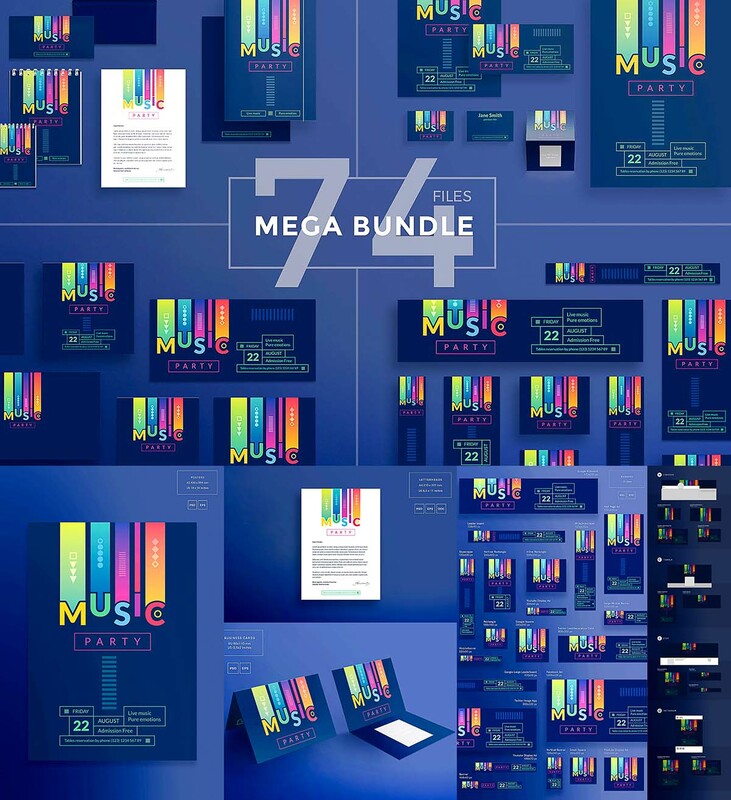 This huge pack is perfect for photographers, bloggers, web & graphic designers. Tested and optimized for use on Photoshop. File format: .psd, .eps, .jpg for Photoshop or other software. Tags: banner, business card, facebook, flyer, header, moder, music, poster, print, youtube.